Read user comments about the side effects, benefits, and effectiveness of A Thru Z Select Women''s oral. This vitamin is really easy on the digestive system. I believe feel a wee bit more sluggish when I don't take it. RxList is part of the WebMD Health Network. The opinions expressed in the WebMD User Reviews are solely those of the User, who may or may not have medical or scientific training, and do not represent the opinions of WebMD. These member reviews have not been reviewed by a WebMD physician or any member of the WebMD editorial staff for accuracy, balance, objectivity, or any other purpose except for compliance with our Terms and Conditions. Some of these opinions may contain information about uses of the drug products that have not been approved by the U.S. Food and Drug Administration. 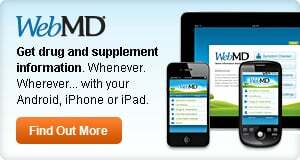 WebMD does not endorse any specific product, service or treatment. WebMD User Reviews should not be considered as medical advice and are not a substitute for professional medical advice, diagnosis, or treatment. Never delay or disregard seeking professional medical advice from your physician or other qualified healthcare provider because of something you have read on WebMD. You should always speak with your doctor before you start, stop, or change any prescribed part of your care plan or treatment. WebMD understands that reading individual, real-life experiences may be a helpful health information resource but they are never a substitute for professional medical advice from a qualified healthcare provider. Copyright © by RxList Inc.
RxList does not provide medical advice, diagnosis or treatment. See additional information.